Should you use Workaway to find work for accommodation in New Zealand? You don’t have to be rich to have a rich travel experience. Thanks to help exchange websites like Workaway.info, travellers can volunteer a few hours of work a week in exchange for free accommodation, food and other rewards. Workaway is a website that connects locals (hosts) with volunteers (workawayers). It’s fast becoming the most popular platform to make help exchanges happen, with more than 900 hosts in New Zealand offering types of help across 17 different categories. So what do you need to know about Workaway in New Zealand? The work for accommodation exchange or “help exchange” has been hugely popular in New Zealand for years. While originally help exchanges mostly occurred between farms and travellers through platforms like WWOOF NZ, websites like Workaway open these opportunities for all kinds of work types. 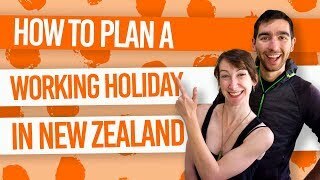 Workaway is a tool well worth considering when looking to save money and immerse yourself in the Kiwi lifestyle while in New Zealand. The Pros and cons of Workaway for New Zealand. What are the advantages and disadvantages to using Workaway to find work of accommodation in New Zealand? Lots of sections to host listings, offering more information on hosts compared to other help exchange websites. Couples/two friends need to pay more to create a profile unlike other help exchange websites. Workaway hosts have different needs when it comes to hours worked and for how many days per week. Most commonly, you’ll find hosts that need help 4-5 hours a day, 5 days a week. The amount of expected hours worked is listed on the host’s profile listing under the heading “Hours Expected”. For more information, see Working For Accommodation and Food in New Zealand: What Are Your Rights? Exchanges can range from three days to three months, so there’s really no set duration. Workaway hosts will state their minimum stay requirement just above the calendar widget. Usually, the minimum stay is at least one week. Often, workawayers end up staying longer if it is a fair exchange and they have a good relationship with their host. You can also check the availability of the host on the Workaway calendar widget. However, if you feel unsafe or are having a negative experience with your host, you have no obligation to stay. You are a volunteer, not an employee. Do you need a visa to take part in exchanges? Yes! In New Zealand you need a work visa for any type of work in exchange for some kind of reward. In this case, the reward is accommodation and food. The most common type of visa travellers get when doing exchanges is the Working Holiday Visa. Find out more about working holiday visas for New Zealand here. Note that Workaway does not aid you in obtaining a visa – this is something you will need to do independently or with an immigration advisor. For more information on getting a visa for a work for accommodation exchange, see What Visa Do You Need to WWOOF in New Zealand. Do you need travel insurance for Workaway? Travel insurance is not a requirement to use the Workaway website. However, it is a requirement of the Working Holiday Visa in New Zealand. Workaway strongly advise workawayers to have their own travel insurance., as hosts may sometimes prefer workawayers to be covered. We recommend the affordable yet comprehensive travel insurance with Orbit Protect, a New Zealand-based travel insurance especially for working holidaymakers. The thing that makes Workaway stand out from other work exchange platforms like WWOOF NZ is its diverse offerings of New Zealand hosts. The types of help that a host requires will be listed under the “Types of help” subheading of their host listing. A good host will write further details of the jobs you will be expected to do under the “Help” subheading. Sometimes, hosts will ask for certain skills or experience. However, most help exchanges require no experience. The great thing about the Workaway website is the ability to read and write feedback for hosts. You can even filter host search results to those hosts with the most positive feedback. These are very useful in determining whether other workawayers have had good experiences or not. Accommodation can be extremely different from host to host. Accommodation businesses, like hostels and motels, will offer you a room in their accommodation establishment (or a bed in a dorm). Other types of hosts may offer you a private room in the family home, a shared room with other helpers, or maybe even a caravan in the garden. Workaway makes it really easy to see what sort of accommodation you will be staying in by have an “Accommodation” section in each host listing. Workawayers have the option to link to other workawayers’ profiles should you end up travelling with someone else. 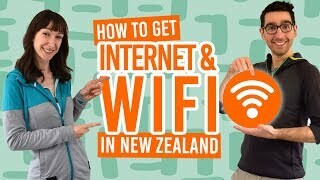 As a free user of Workaway, you can browse the host list in New Zealand, which is a good idea to see if the website provides the types of help that you would be willing to offer. It’s not until you pay for a membership that you can create a full profile and upload photos, contact hosts, give and review feedback, contact other Workawayers, and use all the nifty tools of the Workaway website such as their host locations on a map. Remember, Workaway just puts hosts and workawayers on the same platform. It is up to you to make an impression on hosts and make the effort on securing a help exchange. Get some tips from our How to Create a WWOOF Profile That Hosts Can’t Refuse! with plenty of advice that applies to Workaway.